The following courses are suitable for health professionals working within the NHS. Which team are you part of? Both the Otago and PSI training courses will be most pertinent to you. The RCP audit 2012 may be of additional interest to you. It is important to understand the differences between these two evidence based interventions and the role that health professionals play in their implementation, and their role in supporting rehab assistants/support workers and patient assessment for suitability etc. Our EfS training course will be most pertinent to you, especially if you are working in partnership with specialist exercise services/referring onto EfS instructors in exercise settings. It is important that you understand the remit of your professional practice and how exercise fits within it, and to ensure that you have adequate insurance to implement the training you have undertaken. Anyone is welcome to attend our training, we urge you to consider the considerable workloads and level of learning outlined in each of the course leaflets. 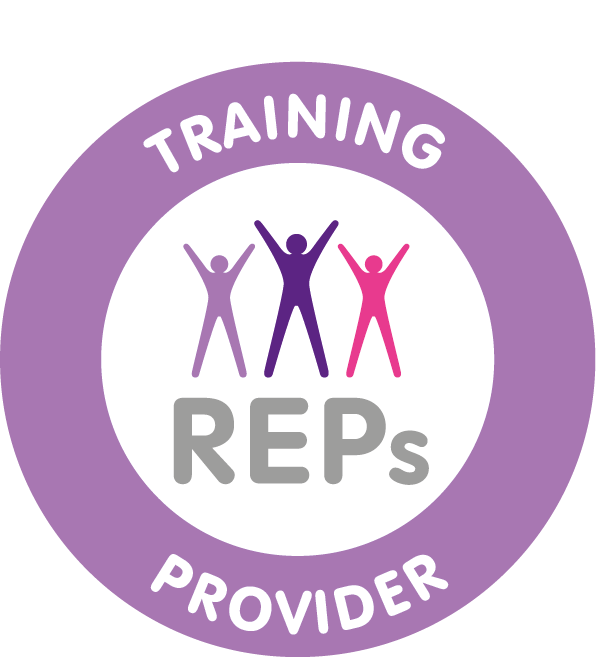 All of our courses are aligned with the exercise framework and endorsed by Skills Active and REPS. Suitable courses will depend on your existing qualifications. Which qualification do you hold? If you hold a L2 Fitness Instructor qualification, courses from the LLT programme that you could be eligible for are shown below. If you are working in a fitness/leisure setting additional criteria applies for the OTAGO course. You are required to be working as part of an integrated team/service with direct links to physiotherapy or as part of an agreed referral pathway. If you hold a L3 Fitness Instructor qualification, courses from the LLT programme that you could be eligible for are shown below. For instructors who are not REPs registered and do not hold insurance with REPs, you may still be eligible for our L4 courses depending on qualifications, experience, work setting and insurance (see link to eligibility guidance doc). If you have a L3 Exercise Referral Qualification (or are working towards this qualification) courses from the LLT programme that you could be eligible for are shown below. If you hold a L4 Fitness Instructor qualification, you would be eligible for all of our courses shown below. Our most popular course for social care professionals is the Chair Based Exercise Leaders Course as this is a basic level leadership course giving the skills to provide safe exercise to improve strength, flexibility and stamina in frailer older people who may be still living at home but more dependent. Depending on other fitness qualifications you may hold (i.e L4 PSI, L3 GP Exercise referral), and depending on your profession/job role, you may require support and supervision, from physiotherapy/specialist exercise professional, with regards to assessing suitability for inclusion into the programme. The MMe course provides a good start to having the conversation with an older person about the value of being more active to maintain independence as long as possible and the 1st Steps in Dementia course provides helpful techniques on communicating with people with Dementia about being more physically active. At LLT we acknowledge the valuable work of volunteers and your contribution to enhancing the lives of older people. We have several courses that may be suitable for you to further support and enrich your volunteering role. It is important to speak with your organisation in understanding your insurance provision if you will be leading exercise to older people. Most of our courses are qualifications that require both theory and practical examinations and these may not be appropriate for your needs. Our Motivate Me and 1st Steps in Dementia one day courses, however, will give you the skills to encourage older people, or your peers, to be more active and to have conversations with those living with Dementia about becoming more active. Working with older people with a history of falls. Am I eligible to attend a PSI course? Please refer to the ‘I am a’ sections which will help you filter through our courses by profession – this should hopefully help you guide your way to the correct course for you. Alternatively, please scroll down to the ‘Eligibility’ section, which can be found under each of our courses when you click on the course button. If, having done the above, you are still unsure about your eligibility please contact the LLT office at info@laterlifetraining.co.uk and we will be happy to advise you further. Is this training for working with all older people or specific groups and or conditions? This training is specifically to help reduce falls in older people and is based on a research programme proven to reduce falls in both older people with a history of falls and also older people who have poor strength and balance due to avoidance of activity. The training covers adaptations that can be made for older people with specific conditions in order to help them achieve the exercises safely and successfully. Are there any courses running in my area? The LLT website provides details of the dates and venues for all our set courses throughout the UK. If there are currently no courses with vacancies running in your area please contact the LLT office at info@laterlifetraining.co.uk and we will add you to our enquiry file so we can let you know when future courses are running. The PSI Course is endorsed by PD:Approval and REPs at Level 4. Associated REPs points are ONLY valid for professionals who are REPs members and who hold PD:Approval required pre-requisites for entry to this L4 course. It is also endorsed by the following key NGO’s: Age UK; AGILE and BGS. If you are a Physiotherapist or Occupational Therapist or a rehabilitation assistant working in a health setting your work insurance will normally cover you, but check with your employer. If you are a fitness professional there are a variety of insurance providers, depending on what you other qualifications and experience are. We suggest you speak to Perkins Slade or Fitness Professionals to ensure you can get adequate insurance to run sessions for people at high risk of falls. In a nutshell, how much work do I have to do to get this qualification? This course requires a considerable time commitment apart from the face to face training so please be prepared to work hard for a successful outcome. Four weeks prior to the first face to face course day we will send you, by post, your pre-course resources set you will need for the training. We will also email you a unique enrolment key (password) for you to access the e-learning training portal. Once you have accessed the e-learning training portal, which will require you to have access to a computer and reliable Internet, you will have a minimum of 12 hour’s worth of pre-course work to complete, followed by a minimum of 12 hours mid-course work to complete. Please note we do not recommend using smartphones or tablets for the e-learning work. All online work is compulsory. You will also attend 3 face to face days of training (9am-6pm) and one full day for your assessments. What does this qualification allow me to do? On successfully achieving the required criteria for this qualification (all assessed elements) you will be qualified to deliver the evidenced based ‘FaME’ programme to older people at risk of falls and meeting the criteria. 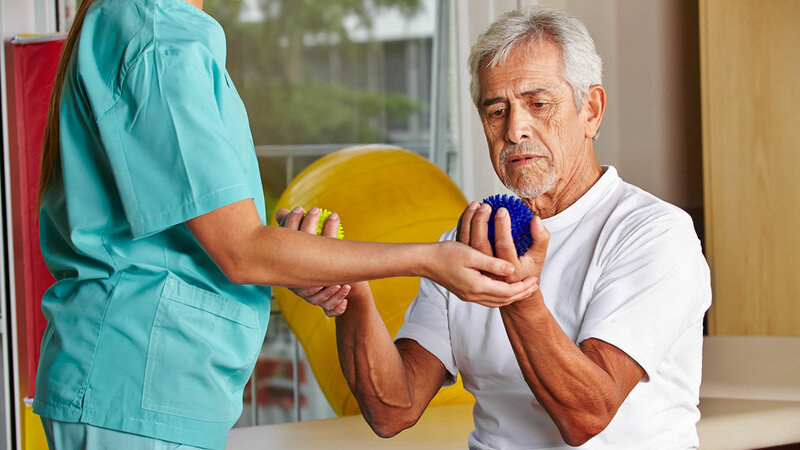 You will be able to tailor the FaME exercises for a range of comorbidities and functional impairments that frailer older people may present with. Your practice will be informed by current best practice guidelines and encourage partnership working with suitable referrers/health professionals. A qualified PSI is also taught the OEP exercises and the CBE exercises within this specialist qualification so you are covered to deliver these sessions as well. If you are registered with REPs there are pre-requisites for attending a L4 course (see ‘Eligibility’). All students are advised to contact their insurance providers to ensure adequate insurance is in place. Read more about local service evaluations of PSI programmes and their impact. Am I eligible to attend an OEP course? This training is specifically aimed at a prescriptive set of exercises that are effective at reducing falls in frailer older people. It gives you the skills to support home based exercise or exercise delivered in small groups once you have received an appropriate referral from a Physiotherapist or PSI. It is not appropriate for fitter older people as often the balance challenge and strength progression is not effective for those who are already relatively active. There is no training on adapting exercise for different medical conditions. The LLT website provides details of the dates and venues for all our set courses throughout the UK. If there are currently no courses with vacancies running in your area please contact the LLT office at info@laterlifetraining.co.uk and we will add you to our enquiry file so we can let you know when future courses are running. In addition, courses can be hosted by local organisations and partnerships who support a range of professionals who work with older people in the local area. These courses can be tailored to suit local programmes, services and priority groups. The OEP Course is endorsed by PD:Approval and REPs and receives 16 CPD points for professionals who are REPs members. If you are a Physiotherapist or Occupational Therapist or a rehabilitation assistant working in a health setting your work insurance will normally cover you but check with your employer. If you are a fitness professional there are a variety of insurance providers available, depending on what you other qualifications and experience are. We suggest you speak to Perkins Slade or Fitness Professionals to ensure you can get adequate insurance to run sessions for people at high risk of falls. This course requires a time commitment apart from the face to face training so please be prepared to work hard for a successful outcome. Four weeks prior to the first face to face course day we will send you, by post, your full resources set you will need for the training. We will also email you a unique enrolment key (password) for you to access the e-learning training portal. Once you have accessed the e-learning training portal, which will require you to have access to a computer and reliable Internet, you will have about 8 hour’s worth of work to complete. Please note we do not recommend using smartphones or tablets for the e-learning work. All online work is compulsory. You will also attend face to face days of training (2 or 3 depending on your background qualifications) and one full day for your assessments. If you are a health professional or rehab assistant/support worker, on successfully achieving the required criteria for this leadership award (all assessed elements) you will be qualified to lead the evidenced based OEP to older people at risk of falls (and meeting the criteria). Only a physiotherapist can assess for suitability into the programme. If you are an exercise professional with a highest level qualification at L2/3 gym instructor, on successfully achieving the required criteria for this leadership award (all assessed elements) you will be qualified to lead the specific ‘pre-set’ evidenced based OEP to older people at risk of falls (and meeting the criteria) provided you are working in a formally agreed pathway working in partnership with L4 PSI’s and physiotherapy teams. If you are an exercise professional with highest level qualification at L4 PSI, on successfully achieving the required criteria for this leadership award (all assessed elements) you will be qualified to lead the evidenced based OEP to older people at risk of falls (and meeting the criteria), assess for suitability into the programme ideally agreed locally with physiotherapy teams. Read more about local service evaluations of OEP programmes and their impact. Am I eligible to attend an OA course? This Level 3 qualification is for those wanting to work in an unsupervised capacity leading exercise for independently active, older adults. It is not aimed, nor will it give you the skills to adapt exercise, for specific medical conditions. The Older Adult training course is validated by YMCA Awards, endorsed by PD:Approval, and recognised by the Register of Exercise Professionals (20 REPs points). The content is mapped against the newly updated units, to find out more please visit the YMCA Awards website. Successful candidates will receive a YMCA Awards certificate. The total QCF credit value for this qualification is 4. This course requires a time commitment apart from the face to face training so please be prepared to work hard for a successful outcome. You will need to set aside at least two-three days of your time to prepare for the assessments. On successfully achieving the required criteria for this qualification (all assessed elements) you will be qualified to lead exercise to ‘independently active older people (IAOP)’ in disciplines you currently hold (i.e. if you are a gym instructor you will be qualified to work with IAOP in the gym environment; if you are ETM trained, you can lead exercise to IAOP in an ETM session. Your practice will be informed by current best practice guidelines. All students are advised to contact their insurance providers to ensure adequate insurance is in place before commencing any classes. Am I eligible to attend an EfS course? Is this training for working with older people or specific groups and or conditions? This training is specific to individuals who have had a stroke and wish to regain their fitness and reduce their chance of a future stroke. There is no specific age that this training works best with but the stroke survivor needs to be able to walk about and transfer independently in order to be able to do the specific exercises from this proven researched programme of exercises. If you are a Physiotherapist or Occupational Therapist or a rehabilitation assistant working in a health setting your work insurance will normally cover you, but check with your employer. If you are a fitness professional there are a variety of insurance providers available, depending on what you other qualifications and experience are. We suggest you speak to Perkins Slade or Fitness Professionals to ensure you can get adequate insurance to run sessions for people who have had a stroke. 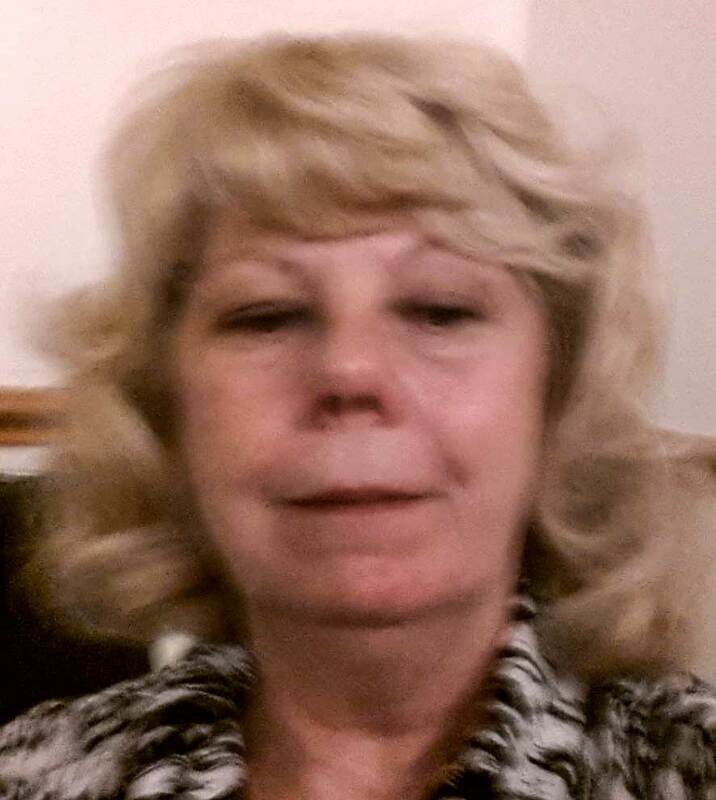 On successfully achieving the required criteria for this qualification (all assessed elements) you will be qualified to deliver the evidenced based STARTER programme to stroke survivors meeting appropriate criteria and tailoring exercise for a range of stroke impairments and in partnership with suitable referrers/health professionals. Your practice will be informed by current best practice guidelines. If you are registered with REPs there are pre-requisites for attending a L4 course (See ‘Eligibility’). All students are advised to contact their insurance providers to ensure adequate insurance is in place. Read more about local service evaluations of EfS programmes and their impact. Engage peers to support older people to become active. Those attending will have a background in physical activity and exercise promotion and working with older people and work in health services, local government and both the age related and medical sections of the voluntary sector. It is anticipated that those attending will be in a position to coordinate local programmes and/or train local senior peer mentors. Local co-ordinators and trainers will be able to use the Someone Like Me programme in a variety of ways. Some local programmes train and support older volunteers to work with general older populations, within specific neighbourhoods or communities and others support those with specific conditions. The case studies identified in the what happens after a course section will provide some examples of local programmes. Later Life Training mainly provide bespoke commissioned courses for partnerships to build capacity that meets the needs of a locally planned programme. We would be pleased to hear from, and assist, organisations wishing to plan local programmes. From time to time, Later Life Training provide “open” training days for the Someone Like Me programme. If there are currently no courses with vacancies running in your area please contact the LLT office at info@laterlifetraining.co.uk and we will add you to our enquiry file so we can let you know when future courses are running. The Someone Like Me programme was previously endorsed by the BHF NC (which is now a part of Loughborough University). LLT promote the concept of the “Reflective Practitioner”. Throughout the training day, participants are given the opportunity to reflect on both their current practice and new learning acquired. As a result, participants leave with a number of personal action points, which they can build into their future practice. This course is giving you the skills to recruit, support and provide peer activity motivators to older people in your area. These mentors should NOT be providing or ‘prescribing’ exercises or activities so they should not need insurance. However, as volunteers within any service, you must ensure they know their professional boundaries and there should be insurance cover (at least pubic liability) to cover their work with the public. You should check with your employer about any insurance cover you should have. You may like to contact the following insurers to see if they can offer advice – Perkins Slade or Fitness Professionals. In a nutshell, how much work do I have to do for this course? This course requires a time commitment apart from the one day face to face training. Setting up a local peer mentoring scheme requires commitment and passion so although you can just come along and attend the training, in order for you to successfully make use of the training it would be helpful for you to have considered all your questions for what happens next. There is a short pre-course task, including a small number of questions about physical activity, older people and volunteering, which when completed, should be brought to the training. What will the course allow me to do? The course is designed to prepare you to plan, implement and evaluate your own training and support programme for Senior Peer Mentors in your local area so that they are confident to include the promotion of physical activity in their work. LLT do not usually train Senior Peer Mentors during these training events. We believe that this is best undertaken by local professionals who are in a position to support Senior Peer Mentors throughout their work.This course does not teach professionals how to teach physical activity or exercise to Senior Peer Mentors. Volunteers are able to lead and teach groups and individuals, but that would be the result of participation and qualification in a specific accredited and recognised course. Motivate older people to exercise. This one day CPD course is open to those professionals who work with older people including L2-L4 Exercise Professionals, Physical Activity, Recreation and Sports Development Officers, Movement and Dance Teachers, Walking Programme Co-ordinators and Walk Leaders, Active Ageing Professionals, Health and Social Care Support Workers, Physiotherapists, Occupational Therapists and Rehab Assistants and sports leaders and coaches. No previous qualifications are required. The MMe training covers working with older people of all ages and abilities, appropriate for a range of services, and can be adapted to suit the needs of those who work with specific groups (eg. from minority, ethnic populations; those involved in falls prevention programmes). This training has been endorsed by REPS and PD:Approval and receives 4 CPD points as there is no assessment. LLT provide a certificate of attendance. MMe is also aligned with The International Curriculum Guidelines for Preparing Physical Activity Instructors of Older Adults (2004). This course is giving you the skills to help someone find their motivation to be more active and you will not be ‘prescribing’ exercises or activities to them, so you do not need insurance. However, if you intend to use this training within your delivery of exercise to increase uptake or adherence to your sessions, you should make sure you are insured, as you are following up with an activity prescription. If you are a Physiotherapist or Occupational Therapist or a rehabilitation assistant working in a health setting your work insurance will normally cover you but check with your employer. If you are a fitness professional there are a variety of insurance providers available, depending on what you other qualifications and experience are. We suggest you speak to Perkins Slade or Fitness Professionals or your current insurance provider to ensure you are covered. This course requires a time commitment apart from the one-day face to face training. Participants are expected to undertake pre-course reading and a professional reflective task which they discuss at the face to face training. LLT promote the concept of the “Reflective Practitioner”. Throughout the training day, participants are given the opportunity to reflect on both their current practice and new learning acquired. As a result, participants leave with a number of personal action points, which they can build into their future practice. 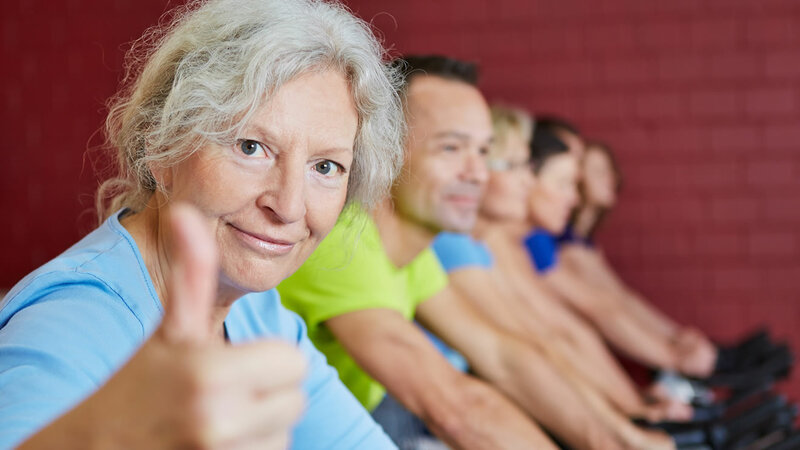 MMe training is designed to provide physical activity and exercise leaders, teachers and instructors with both theoretical perspectives and practical applications on motivating older people to adopt and maintain regular physical activity participation. There is recent research (Hawley Hague, 2014) that demonstrates that those teachers and instructors who have undertaken the Motivate Me CPD Training achieve greater and more sustained participation amongst their exercise and activity class members. MME training does NOT provide a set of exercises or exercise advice. To give an exercise prescription you must hold an exercise delivery or leadership qualification. Working with people living with dementia. This one-day CPD training is for those with a knowledge and experience of physical activity, exercise, movement and are beginning to work with people living with dementia, without any, or limited experience of dementia. Is this training for those who work with all older people or specific groups/conditions? This course is designed for those who are coming into contact with people living with dementia and their care-givers. This training has been endorsed by REPS and PD:Approval and receives 6 CPD points as there is no assessment. LLT provide a certificate of attendance. LLT promote the concept of the “Reflective Practitioner”. Throughout the training day, participants are given the opportunity to reflect on both their current practice and new learning acquired. As a result, participants leave with a number of personal action points, which they can build into their future practice. This course is giving you the skills to help someone with dementia remain active and you will not be ‘prescribing’ exercises or activities to them so you do not need insurance. However, if you intend to use this training within your delivery of exercise to increase uptake or adherence to your sessions, you should ensure you are insured as you are following up with an activity prescription. If you are a Physiotherapist or Occupational Therapist or a rehabilitation assistant working in a health setting your work insurance will normally cover you but check with your employer. If you are a fitness professional there are a variety of insurance providers available, depending on what you other qualifications and experience are. We suggest you speak to Perkins Slade or Fitness Professionals or your current insurance provider to ensure you are covered. This course requires a time commitment apart from the one day face to face training. Participants are expected to undertake pre-course reading and a professional reflective task which they discuss at the face to face training. This one day LLT 1st Steps in Dementia CPD training day teaches professionals how to increase uptake and adherence to physical activity by people living with dementia. It uses a sound understanding of evidence-based, best practice strategies and how to implement them effectively into programming of exercise and physical activity. It also provides learners with the opportunity to review their own current practice in this exciting end emerging field of physical activity promotion. It does NOT provide a set of exercises or exercise advice. To give an exercise prescription you must hold an exercise delivery or leadership qualification. Working with non-ambulatory frailer older adults. Am I eligible to attend a CBE course? This training is specifically aimed at a prescriptive set of exercises that are effective for increasing exercise capacity in frailer older people or those who are chair bound. Chair based exercise can be used as a starting point for increasing exercise tolerance (strength, flexibility and stamina) and then people may be able to move onto other standing exercise programmes that can improve balance and walking capacity. It does not, however, teach you how to adapt exercise for people with specific medical conditions. The CBE Course is endorsed by PD:Approval, Skills for Care and REPS and receives 16 CPD points for professionals who are REPs members. If you are a Physiotherapist or Occupational Therapist or a rehabilitation assistant working in a health setting your work insurance will normally cover you but check with your employer. If you are a fitness professional there are a variety of insurance providers available, depending on what you other qualifications and experience are. We suggest you speak to Perkins Slade or Fitness Professionals to ensure you can get adequate insurance to run sessions for frailer older people. On successfully achieving the required criteria for this qualification (all assessed elements) you will be qualified to lead the evidenced CBE of the ‘Sit Tall, Stand Strong’ programme. The application of the training is wide ranging and depending on your profession and other qualifications held, this programme could apply to community, home and care home settings. Your practice will be informed by current best practice guidelines. All students are advised to contact their insurance providers to ensure adequate insurance is in place before commencing any classes. Read more about local service evaluations of CBE programmes and their impact. Working with frailer older adults receiving packages of care or support in their own homes. As a commissioner the most important thing to know about LLT is that all of the courses we run are informed by evidence and current best practice guidelines. We provide ongoing support and CPD to ensure all our qualified students are up to date on the latest emerging evidence base and practice. The interventions we train people to deliver have been shown by research to be cost effective (eg. Otago) and many services share their service evaluations with us. We have been training NHS and Social Care staff for over 12 years, for example the FaME (PSI) and Otago programmes are the most widely utilized programmes for falls prevention within the NHS (RCP report). At LLT we are committed to supporting you to develop evidence-based exercise continuums and exercise referral pathways that are practicable and that can enhance and support partnership working in order to meet the needs of patients, clients and your service. 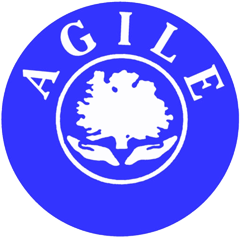 We are an endorsed training provider for both Skills for Care and Skills Active. Download a flyer that explains how we can support your teams here. All the programmes that we train people to deliver have been shown to improve health outcomes and promote independence – reducing the burden on health and social care services. You can read independent service evaluations of sessions delivered by LLT qualified staff here. Our directors are actively involved with research and work alongside an experienced tutor team who themselves work within NHS service structures. Click here to read a Letter of Support from Lynn Flannigan, Lanarkshire Care Home Liaison Physiotherapist. Click here to read a Statement on Consistent and Accurate Messaging for Commissioners and Stakeholders in frailty and falls prevention services. 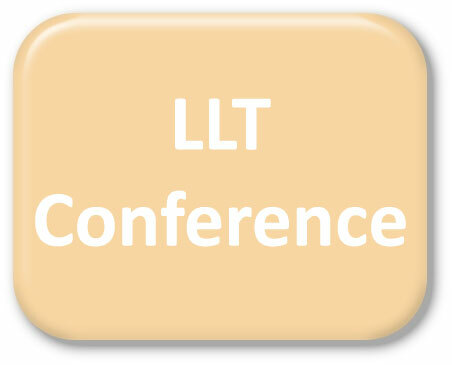 How often do LLT run conferences? LLT run a conference every two years. If you qualify with LLT or attend one of our courses you can join a mailing list and receive notification. Alternatively keep an eye on the LLT website or Facebook pages for notification. Do I have to be LLT qualified to attend? No, we open our conferences to everyone, however, there is a strong emphasis on updating the evidence base and practical tips on delivering the LLT evidence based exercise programmes. What if I can’t make it to the conference? LLT offer the ability to download all the keynote presentations and workshop information as pdfs after the conference to those that could not attend. There is a cost associated with this but this is of course less than the original conference attendance. The FF MOT training programme (a partnership between Glasgow Caledonian University and Later Life Training) is for all professionals who work to promote physical activity and Active Ageing amongst older people. No qualifications are required but some understanding of older people, physical activity and exercise would be helpful. The FF MOT is primarily designed for use with community living older people and in practice can be applied in a number of settings eg, leisure centres, fitness clubs, community venues, sheltered and supported living. Experience suggests that it is not appropriate for use in residential care settings and frailer older people. Details of courses as they are set up will be on the COURSE DATES pages. Open courses are run across the UK but only if interest in an area is shown. We are happy to set up a course if there is interest, so let us know. We also run'hosted' or'bespoke' courses to meet the needs of people and professionals in specific communities, services and settings. 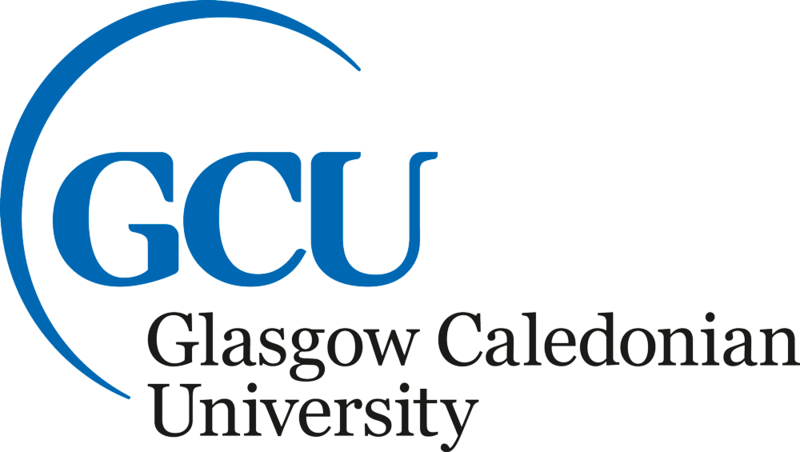 The FF MOT training programme is a partnership between Glasgow Caledonian University and Later Life Training. A Certificate of Attendance with these organisations logos will be provided. It also receives 6 CPD points from REPS/PD:Approval. Throughout the training day, participants are given the opportunity to reflect on both their current practice and new learning acquired. As a result, participants leave with a number of personal action points, which they can build into their future practice. This course is giving you the skills to provide a brief functional assessment to older people, helping them see how they compare to others of the same age, and having a discussion about becoming more active. You must ensure that your employer is happy with the current public liability or professional indemnity cover they have for you to provide this advice to older people. You may like to contact the following insurers to see if they can offer advice – Perkins Slade or Fitness Professionals. You can just turn up and attend the one day course. However, to implement the FFMOT in your work setting ycou might want to consider all the questions you want to ask at the training as to what happens next. The FF MOT training is designed as an introduction to Functional Fitness and provides an understanding oft he key elements of the 2011 UK CMO Guidelines on Physical Activity for Older Adults and how to use functional fitness activities and events to engage groups of older people with the purpose of increasing their physical activity. It is not a tool that should be used as a pre-post measure for research or programme evaluation, nor is it an alternative to pre-exercise assessment or an alternative physical activity or exercise programme. The BHF NC have produced an impact assessment of how organisations have used the Functional Fitness MOT in practice.